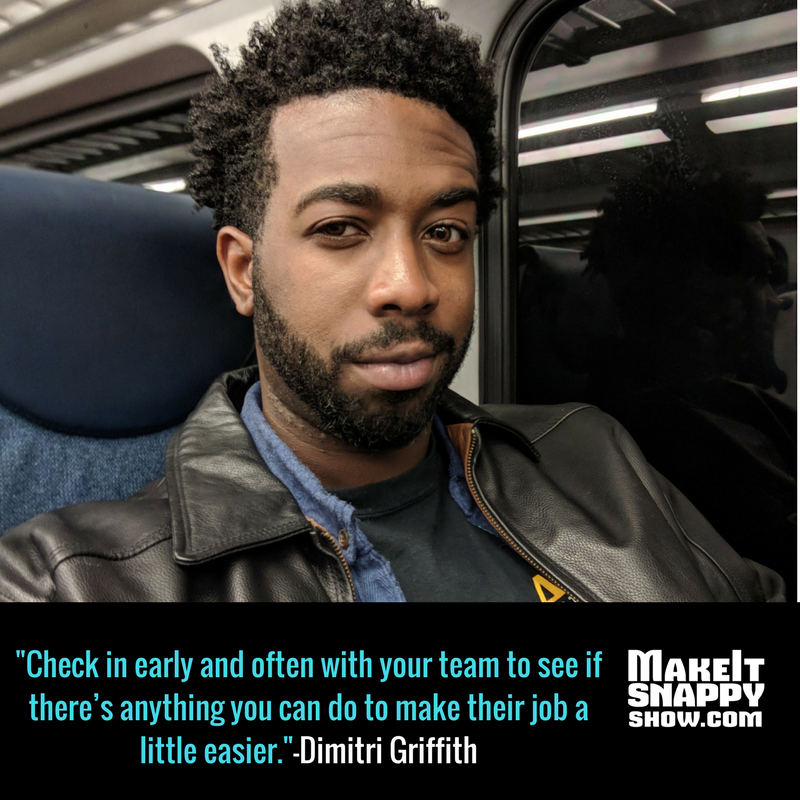 The Make It Snappy Team cover a lot of ground in their conversation with Dimitri Griffith, project coordinator of Tampa Bay start-up, My Clone Solution, where his day to day duties require helping small businesses get the most productivity out of their resources. Nick and Brittany talk with Dimitri about what it takes to stop grinding your gears doing activities that aren't productive to your goals and what accountability means when hosting a live event. Getting live events off the ground and running smoothly isn’t as hard as you think. 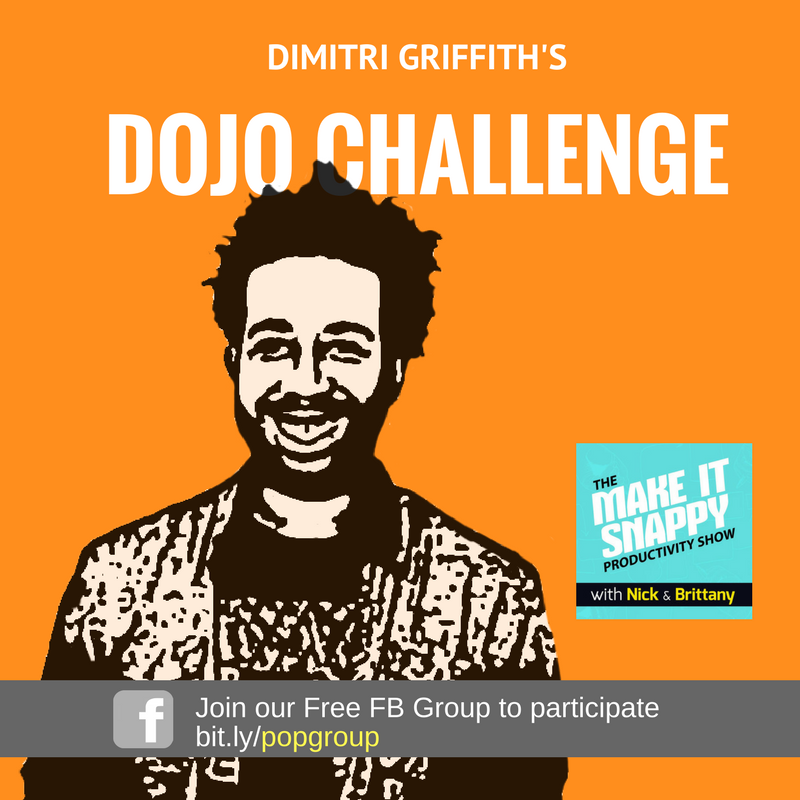 Dimitri Griffith joins the Make It Snappy Productivity Show for the first time to discuss accountability during live events. We go over what works, what doesn’t and how to provide the best support for your team before and during the event. We explore how to be successful when managing people by using kindness and persistence. Dimitri shares his motivation to become more productive and the methods he used to get there while eliminating waste in the process. Prepare your clothes and meals for three days in advance this week.